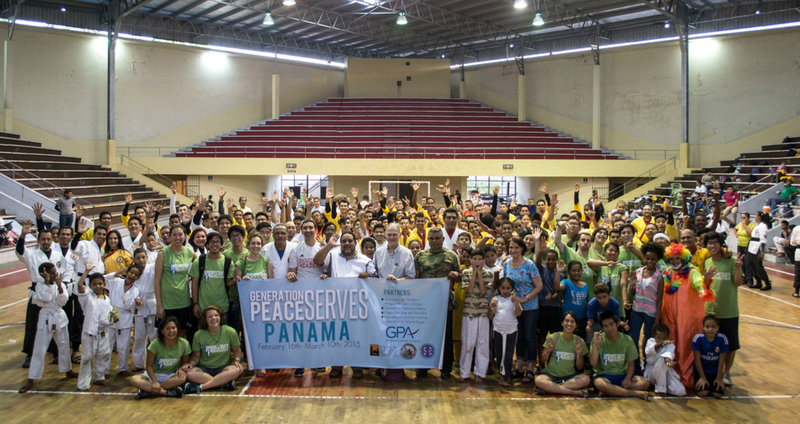 FFWPU USA: Renovating a playground to give local children a safe alternative to playing in the streets is just one of the service projects that about 25 volunteers from Generation Peace Academy (GPA) are assisting during three weeks in Casco Viejo, Panama. So far the crew has cleaned the playground lot, scraped its walls, painted a base layer, and begun work designing a mural. The designers are GPA first-year participants Aika Callahan, Ben Caron, Junta Naito, Yuka Oiwa, Mansoo Takeda, and Amy Whitmore. GPA is partnering in Panama City with Amigos y Vecinos de Casco Antiguo (translated as “Friends and Neighbors of Old Casco”; abbreviated as AVACA), a nonprofit organization that works in the poorer communities of Casco Viejo, the historic district of Panama City. Last year GPA worked with AVACA to establish a volunteer-run recycling campaign. The playground renovation will complement AVACA’s beautification and community building efforts throughout the city. This playground will serve as a model for other neighborhoods. 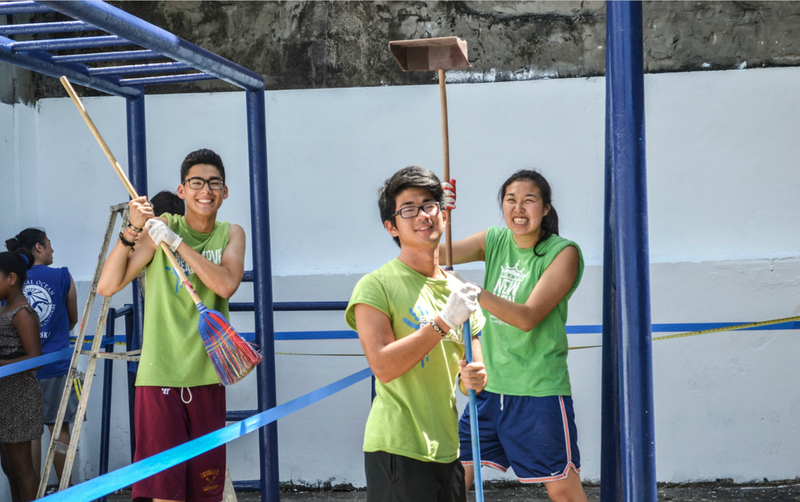 Children from the neighborhood have joined the GPA volunteers in the playground renovation every day, assisting in some external tasks while brightening the workday. Their energy is contagious and they also seem to find hope through GPA’s presence.